Ha! Well there you go. So I guess my memory was almost right. You guys have tempted me to consider an upgrade, but I have certain restrictions from the boss ladies. - be as easy to use as the current M4D. - have minimal grind retention. 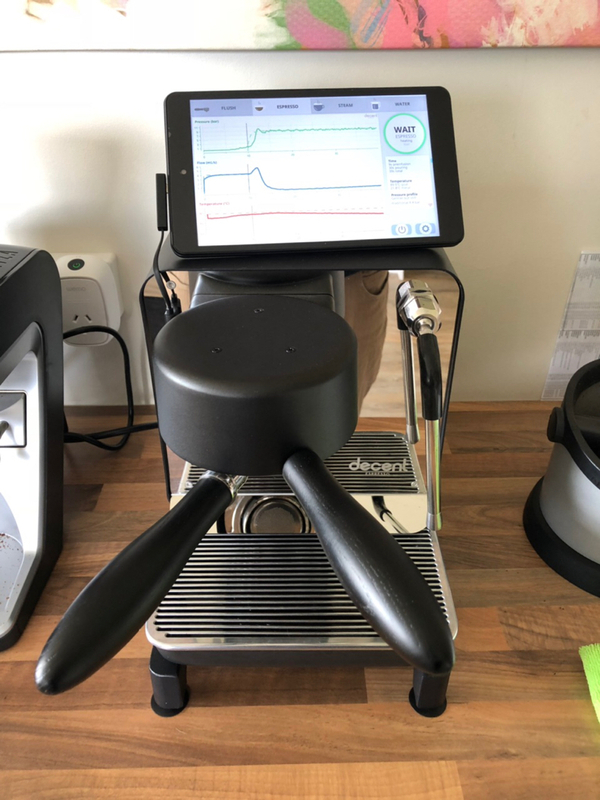 I have spent a lot of effort teaching my household to use our current setup. 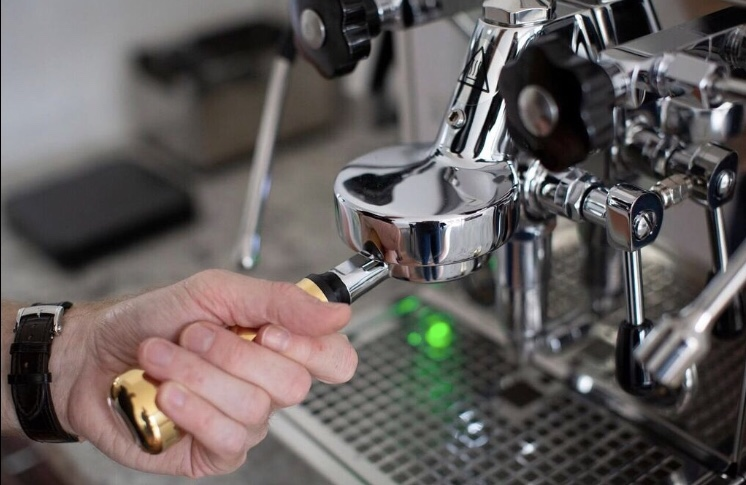 Single dosing with only minute grind adjustments was the easiest concept for all to master, so the new grinder will have to be easy to use. I don’t think anything out there is much more fit for purpose than an M4D. This will need some mods for ideal work in the home but.... I just had to own one. It’s as simple as that. 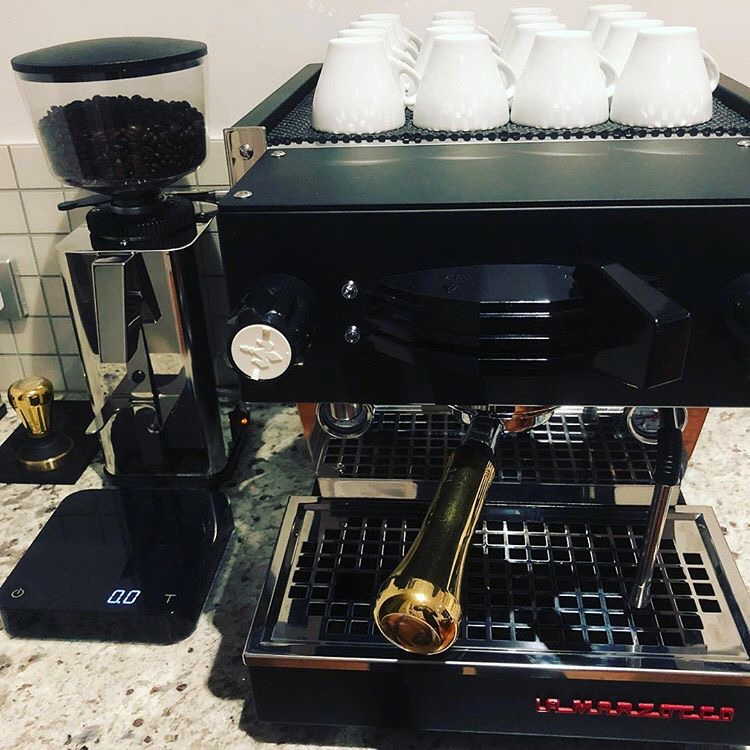 The Eureka Atom is my #1.
first the r58 with some custom timber additions, and recently upgraded to a gs3 also with custom timber panels steam lever modification and had it powder coated in black. I love the wood but I’m more of a stealth guy myself. Here’s my latest gear. 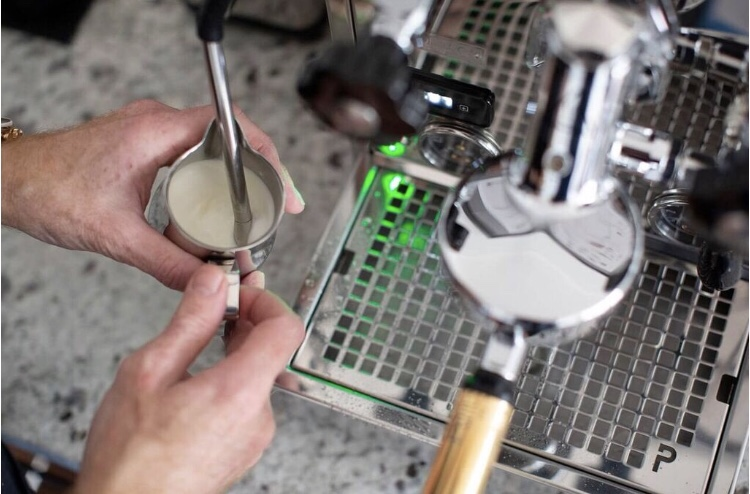 La Marzocco Linea Mini and ECM S64 Manual grinder. Well.... there's another laptop ruined by drool. 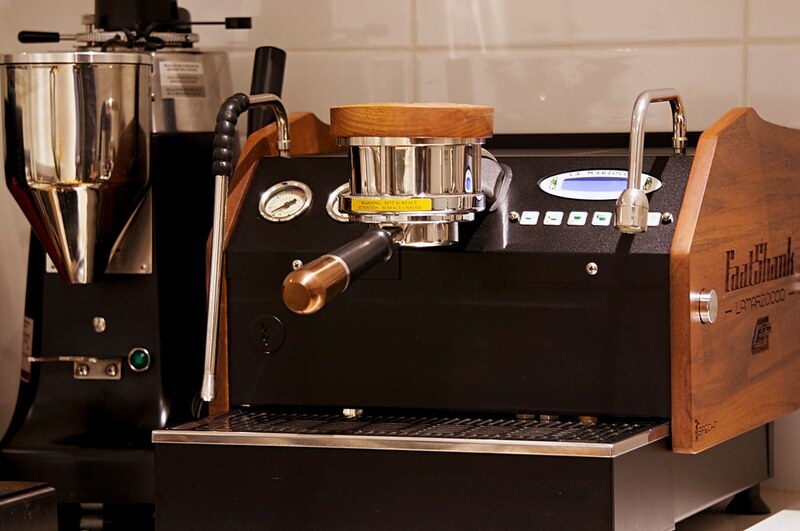 currently running with a mazzer super jolly which although messy again makes for great coffee - also have a sunbeam cafe series coffee machine and grinder sitting on the bench for when I need coffee subito pronto! Just picked this up over the weekend. It’s amazing and frustrating at the same time! You nail a shot on a certain profile. Then think, hey I’ll try a different profile. Gusher!!!! Back to the drawing board. It’s like owning 20 machines and trying to jump between them! Ah nice one Pat, looks swell! Never seen one of those before! Yeah amazing photos she takes.. nice! I love those timber accents, can you please tell me how I can get that done for my Rocket machine? 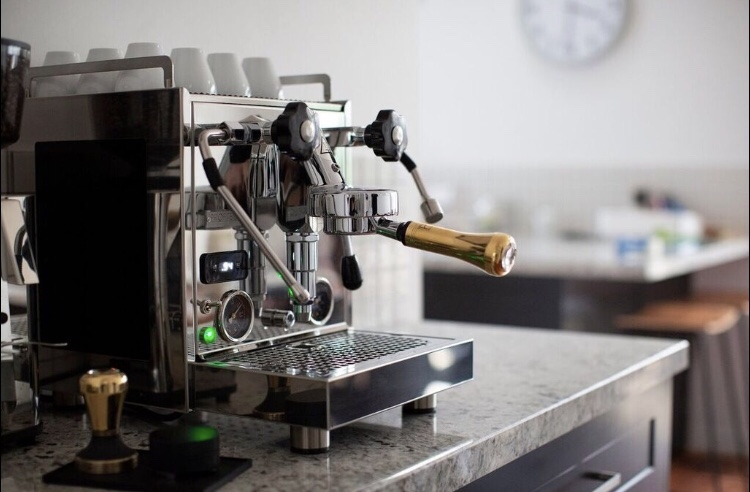 La Rocca Verona Expres Single Group, and a Fiorenzato Ducale Two Group, wired with a relay switch to run of 10 or 15 amp ! Both of which I use for my coffee catering, depending upon the size of the job ! 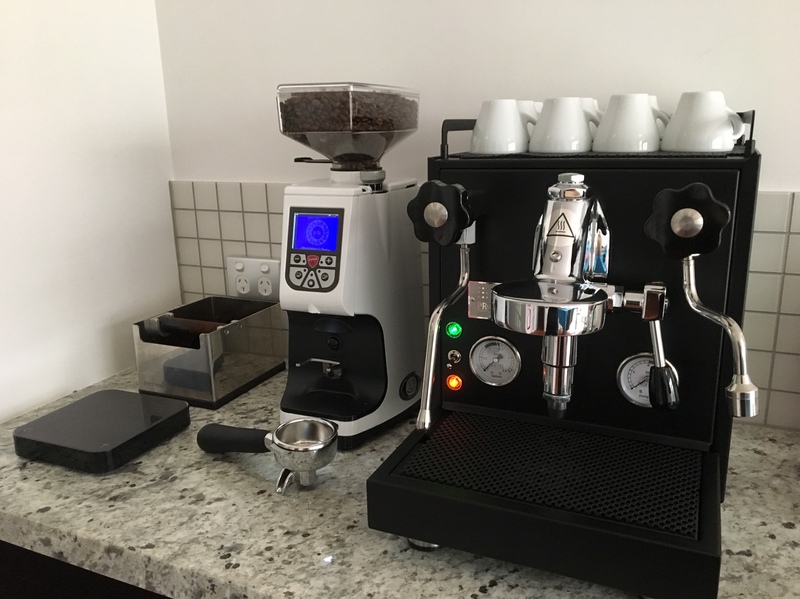 Both E61 groups and I'm pretty happy with the quality of coffee they produce, with long, slow, and consistent shots not a problem! 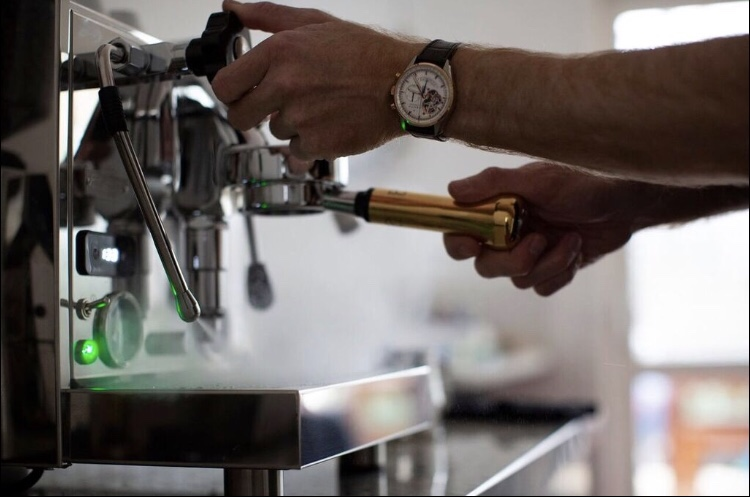 it's a compact two machine which I use for coffee catering - both machines are relatively unknown, and the la Rocca is actually Spanish and not Italian! but both make great coffer, which is the main thing ! 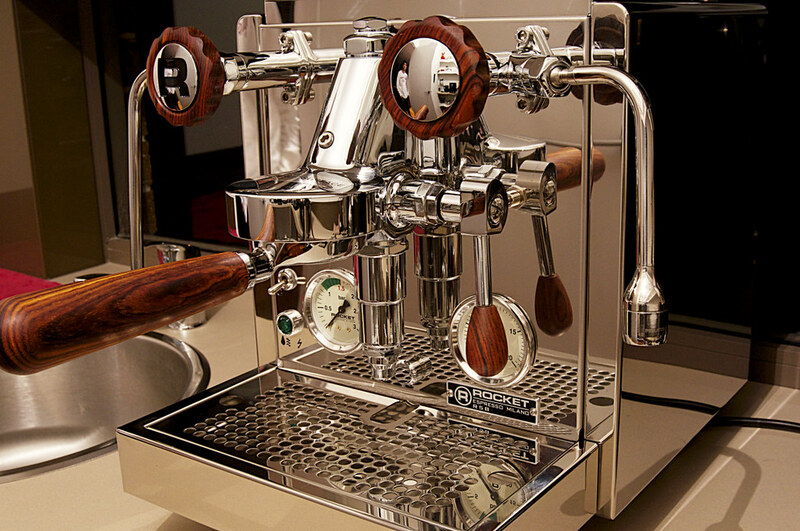 wow, love that dual e61 machine...looks brilliant. Wow - how brilliant. Huge machines for home. I reckon you have probably got a V8 in your garage as well. Yes?? ?